Silver steel is a high carbon bright steel, which is ground to a very close tolerance. It is supplied in an annealed condition but because of the high carbon and chromium content it can achieve high hardness levels, making it a highly versatile product perfect for many engineering applications. 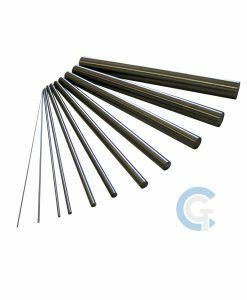 Coventry Grinders offer a large size range of silver steel in both metric & imperial diameters in lengths of 13″, 1 metre & 2 metre. Some non-standard sizes can be found in stock (e.g. 1mm, 5/64″) and we are able to produce non-standard sizes upon request. 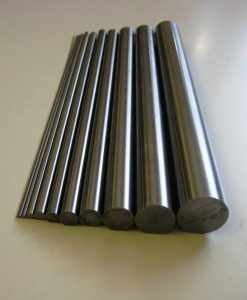 Silver Steel name derives from its appearance, due to its extremely fine surface finish and chrome content when ground. Unfortunately it does not contain silver. The material can be hardened to 65-68 Rockwell C.
We have over 20 years experience in supply and manufacture of Silver Steel so if you have any questions regarding this product do not hesitate to ask.